Welcome to November where in the northern hemisphere the nights are drawing in fast and the days are getting colder. Gardens and parks are littered with fallen leaves and soon we can expect to wake to frosty mornings and hopefully some fine wintry skies. 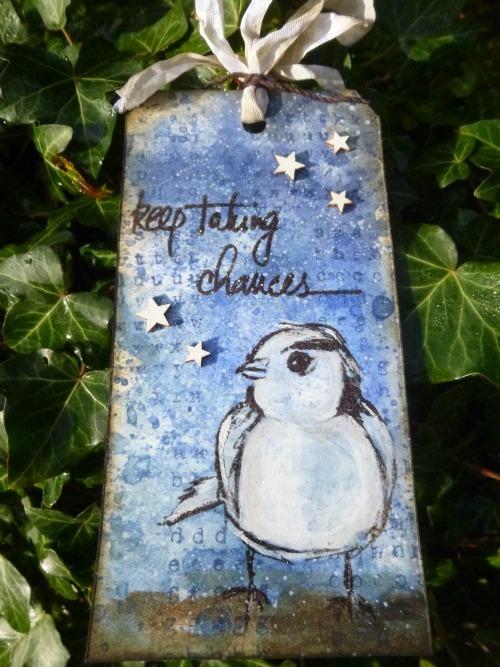 So often in the winter season the colour blue comes into our craft work and Doreen has chosen this as our new theme. Hello to you all, I have had the pleasure of picking the challenge this month, everyone knows I am hooked on the colour Blue. 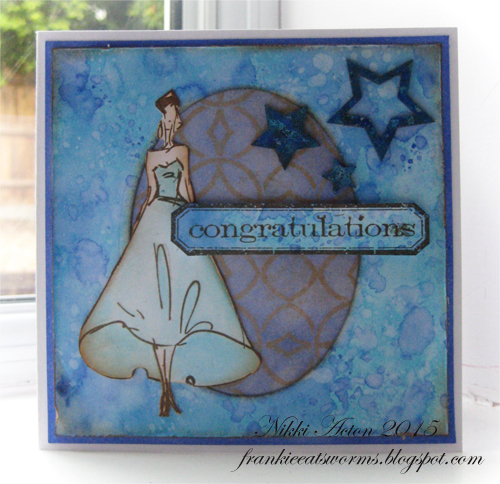 You can find out about the products I used and how I made it on my blog here. 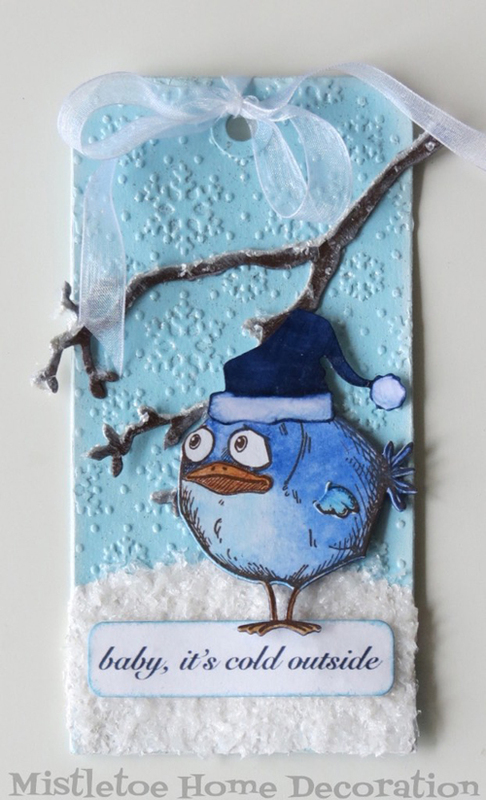 To our new challenge I prepared a blue winter tag with one of the very favourite crazy birds by Tim Holtz. Step by step tutorial on my blog. For my first creation for Doreen's theme I used various of blue toned distress inks and the wrinkle free distress technique to create my background. Do pop over at Addicted to Art for more details today. Blue is different for me at different times of the year. Since Doreen is looking for The Colour Blue in November, my blues have taken on quite a wintry hue. I also found myself reaching for birds to sit against my blue backgrounds... so this tag gave me the chance to ink up Dina Wakley's Scribbly Birds for the first time. Come over to Words and Pictures if you'd like to see more details. 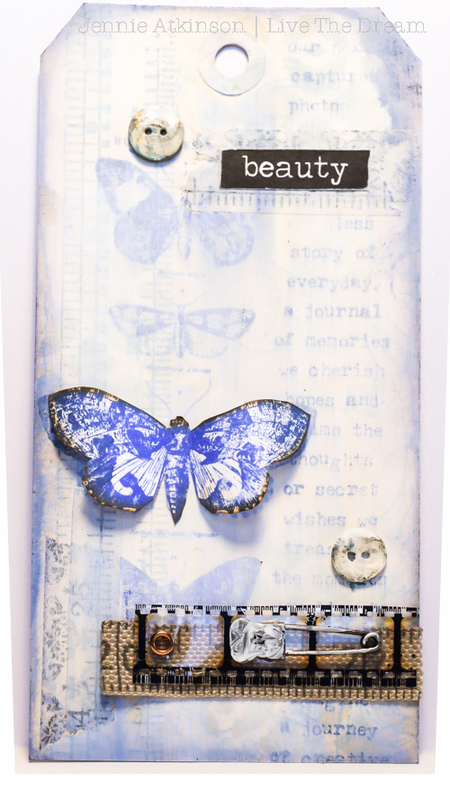 For my first "blue" project I have made a simple tag using an array of blue Distress Inks and some recycled bits and pieces from previous projects. Do join me over on my blog if you would like to see more. A wintry canvas from me today which has numerous blue tones in it. 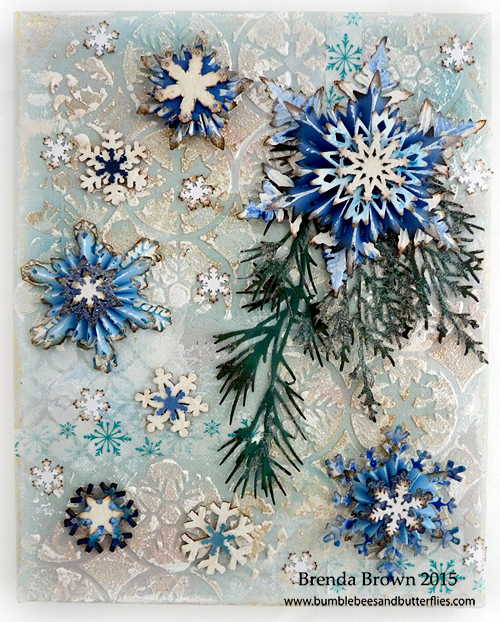 I loved using a whole range of dies and punches to create the dimensional snowflakes and various glitters to add sparkle to give that cold winters morning feel to it. Wow! how quick is time going? 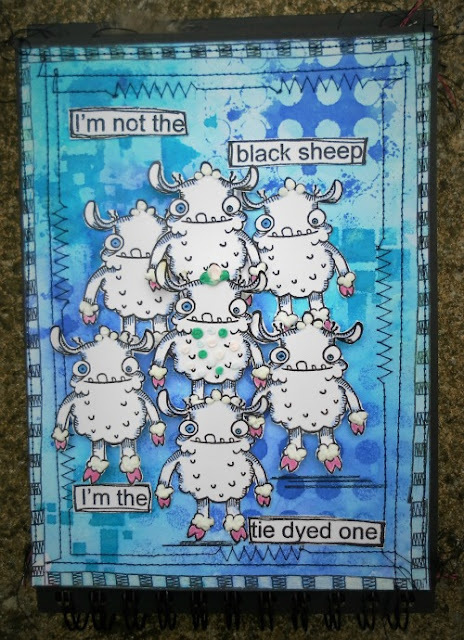 Here we are again with another Challenge chosen for us by the very talented Doreen. I love the colour blue, it's not my favourite colour, but definitely up there. So we're off and looking forward to seeing your blue entries this month. Don't forget there's a £20 voucher for the winner from Country View Crafts. We'll be back soon with more inspiration from the design team soon, so keep your eyes peeled. Great challenge and wonderful, really stunning inspiration from the design team. Blue is one of my favorite colors, so I'll be playing along! What wonderful projects from the Design Team! I'll be around soon to see them in detail. Fantastic inspiration. its got me started making some Christmas cards. Great theme, DT! Lovely creations! Fabulous cards from the DT. I have just discovered your blog, so this will be my first challenge. Hope there is enough blue though! Hi, I've only just bumped into your challenge blog! Blue is my favourite colour, so this month's theme is straight up my street! Gorgeous DT Creations!! Love all the blue! Love all those gorgeous snowflakes from Brenda.. the blue just makes them pop right out at you!! Stunning!! Thanks for another fun challenge! 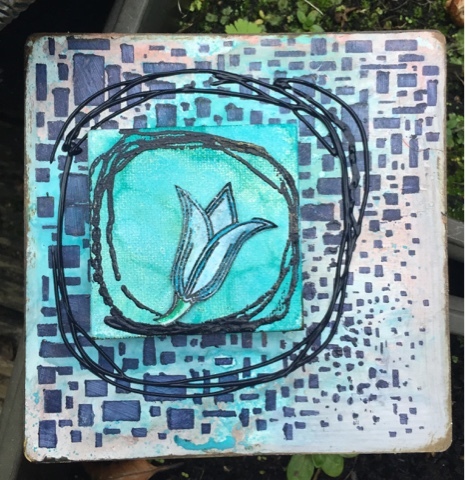 Beautiful creations and fun challenge!!! Thank you for this great challenge. 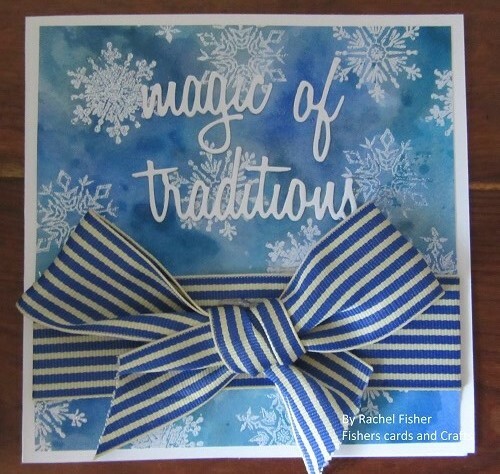 Blue is my fave color and lot of loveliness blue creations here! Enjoying them! Super fun! Thanks for the fun challenge! Gorgeous DT cards, love this challenge. Thx.